Empowering Individuals – Orr Fellowship is comprised of individuals representing different backgrounds, skill sets, and interests. First and foremost, the Fellowship continually identifies and vets opportunities for individual Fellows to connect with some stand-out Indianapolis organizations and serve them in a variety of ways, from one-time service projects to nonprofit board memberships. Developing Organizational Partnerships – Through strategic partnerships with community organizations like Indy Do Day, Lemonade Day Indianapolis, the TechPoint Foundation for Youth, Indy Reads, Indianapolis Public Schools, etc., the Fellowship is able to utilize its extensive network and collective entrepreneurial talent to concentrate impact on the community. The Fellowship believes that casting a wide net in civic engagement endeavors is important, and that some of the best projects arise when this organization comes together to make a difference. Coming in 2017 – A major new annual initiative is currently being planned which will capitalize on the Fellows’ talent and desire to creatively inspire middle school-aged children with entrepreneurial dreams. This large scope service project will be in partnership with a variety of Indianapolis area schools and will provide a wonderful way for Fellows to share their knowledge and enthusiasm while making a real impact on area youth. Started in 2014, Orr Fellowship Nonprofit Organization Consulting initiative provides Indianapolis nonprofit organizations with a dedicated team of Orr Fellows who come together to create a response to a problem or problems pre-identified by the organization as a barrier to organizational growth or success. During a 6-to-8-week period, the Orr Fellow team utilizes a design-thinking methodology to identify underlying causes driving the obstacle in question, conducts qualitative and quantitative research, and presents a recommended solution to the problem. The initiative is completely free of charge to the community organizations. Interested? Head over to the Contact Us page and let us know! 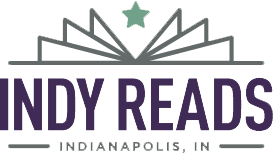 Indy Reads provides literacy tutoring to semi-literate and illiterate adults. Their goal is to make Indianapolis 100% literate. Orr Fellowship partnered with Indy Reads to help them find relevant data and develop content that Indy Reads can disperse via multiple digital channels (social media, website, etc). The Orr Fellowship Team provided Indy Reads with a library of post and tweets that contained research statistics for distribution. Hit the learn more button for more details!